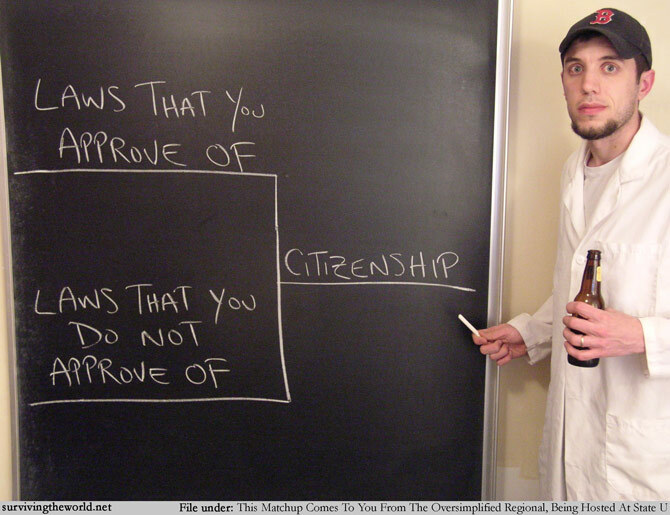 There's far more to it, of course - I wouldn't really consider citizenship to be citizenship without some form of active participation - but certainly if both sides aren't there, I'm not really sure what type of society you're living in. Anyway, this leads into today's holiday (as proposed earlier this year): Observance Observance! Here's a day for appreciating the laws that you've worked to achieve, and for renewing your commitment to changing those you believe are wrong. Happy Observance Observance to you and yours.